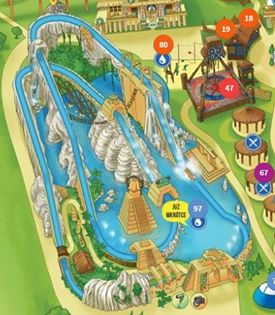 Shame that all of the water coasters seem to be a clone of Divertical lol. Divertical is a fun ride. But I agree, some layout variation would be great. 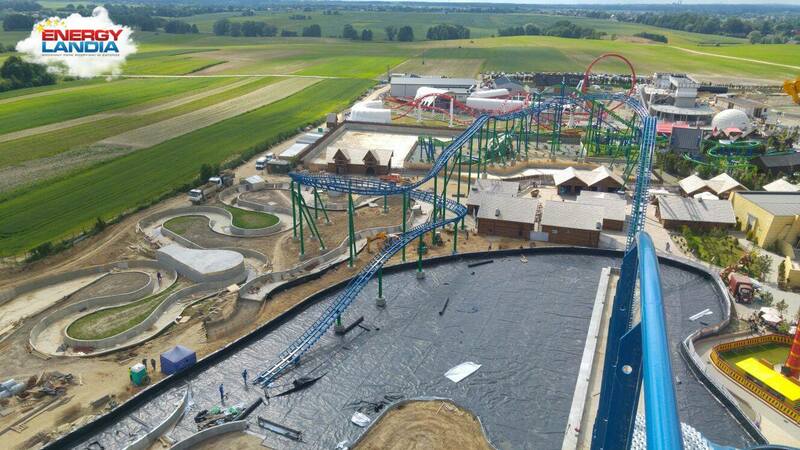 ^ Yeah we need more "Inta-Aqualites" to make those look like water rides! 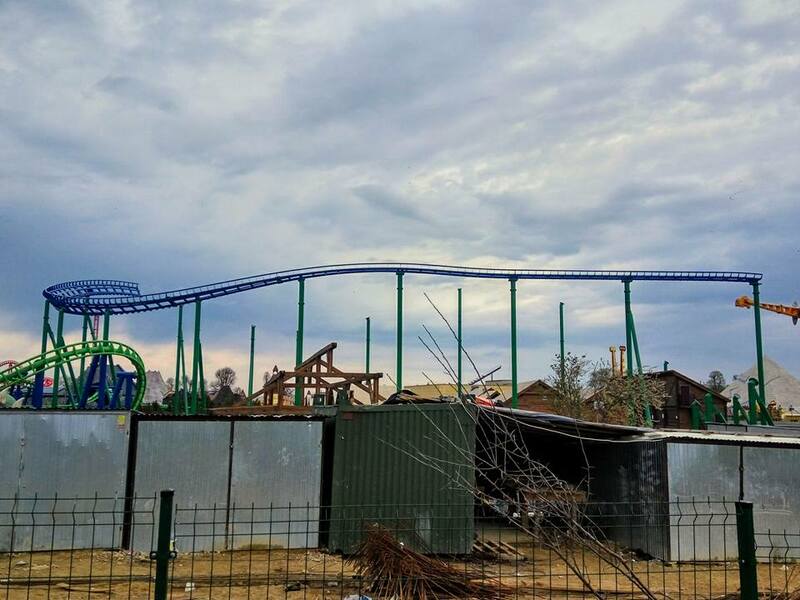 Construction continues on the water coaster and theming on the family boomerang. Still seems to be a Divertical clone. 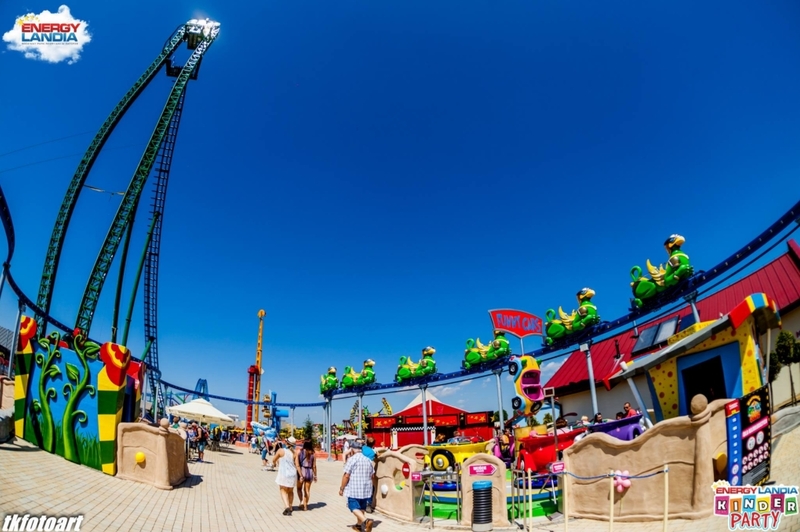 I think this park uses RCT defaults to paint all of their rides. 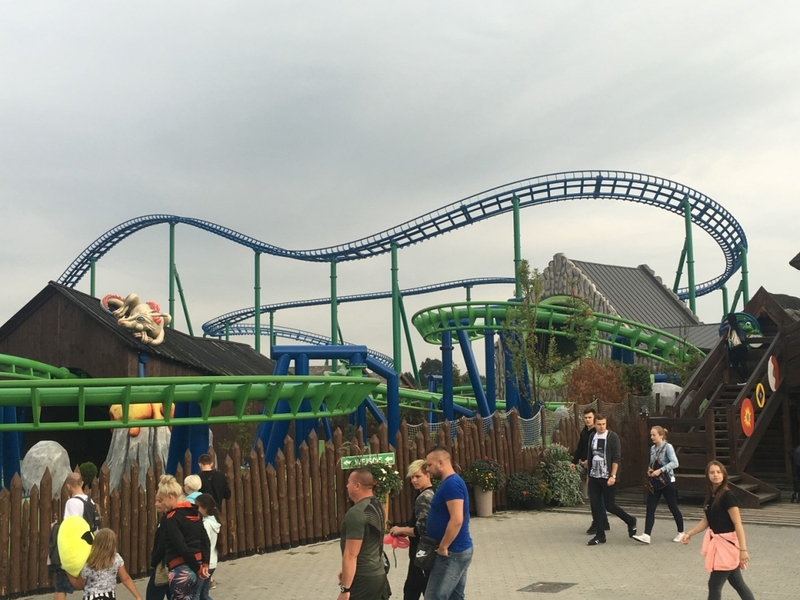 Three green and blue coasters in the same park lol. All of them look pretty neat at least. Yep, definitely a divertical clone now. Not a bad thing though, it was a lot of fun! More fun than I expected tbh. The boomerang is now open but the theming is still a work in progress! The triple loop SBF visa spinner is also open! 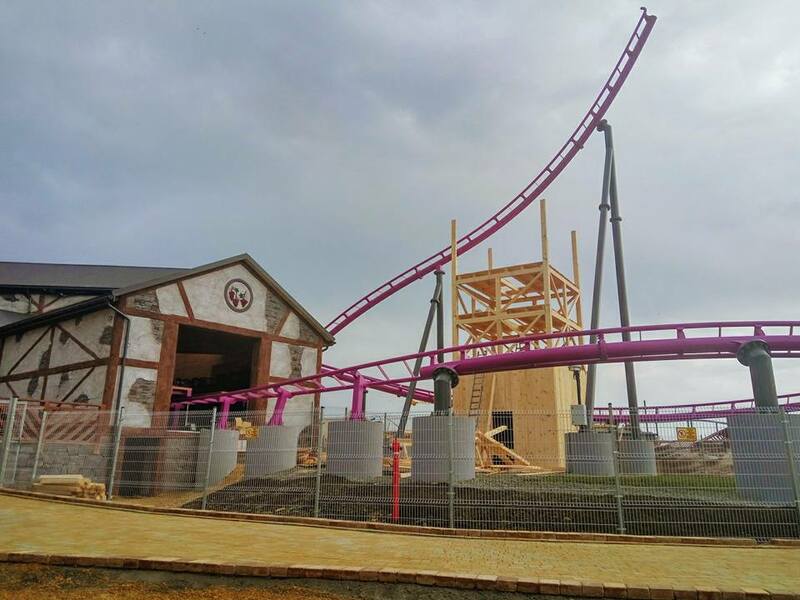 The water coaster is now complete but is not open just yet. 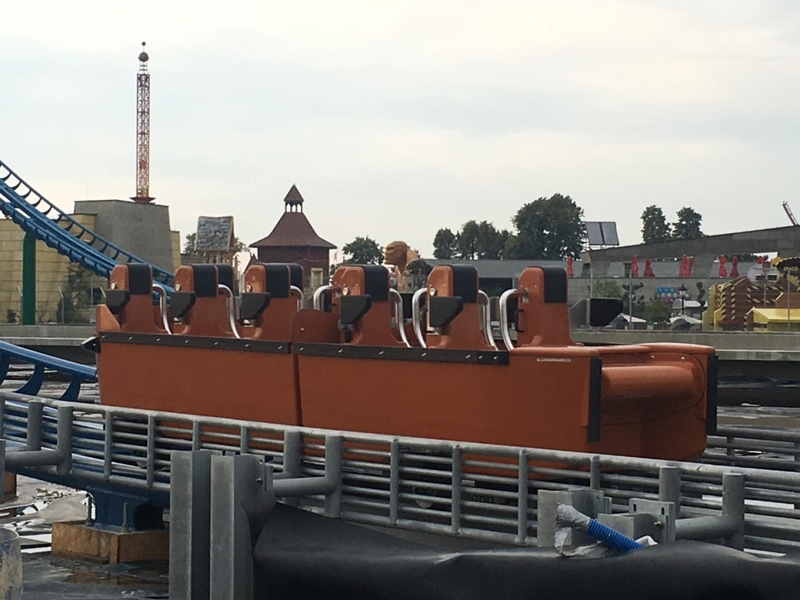 You can also see the trough for the rapids ride! 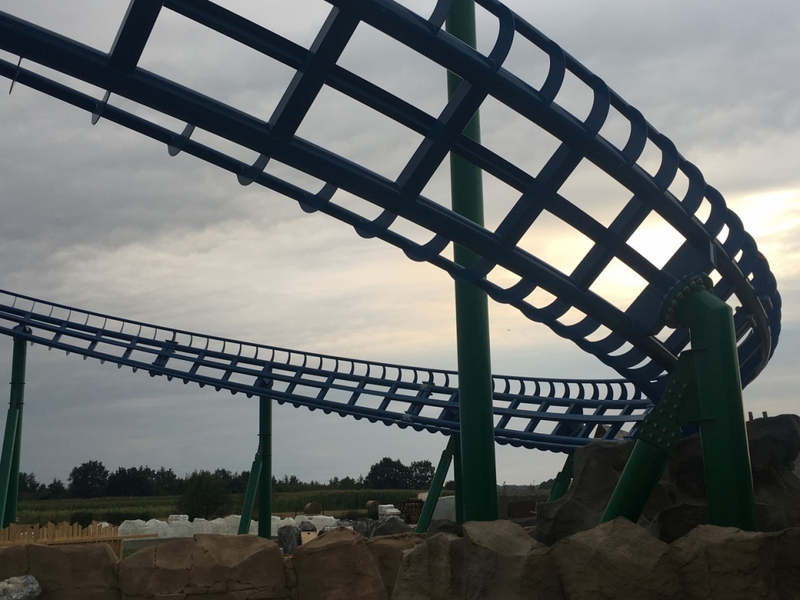 This seems to be a bit modified from the original Divertical layout as the helix appears to have some shaping variations. 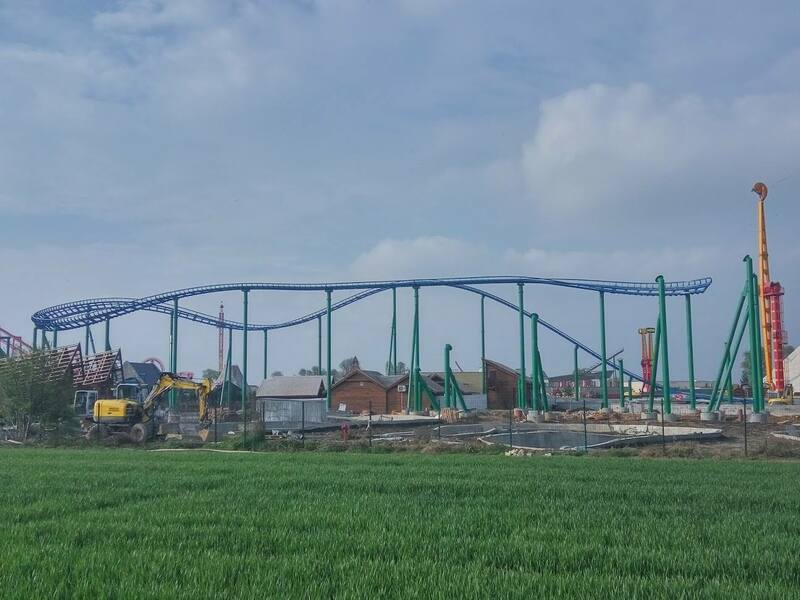 This could be because Divertical has stalled in the helix before so Intamin is trying to avoid this. Anyone here been on Divertical? The drop seems uncharacteristically disappointing to me but the following airhill looks like it could provide really solid floater if not fairly good negatives. I've been on Divertical 3 year ago, then again this year, hoping to change my mind about it!!! 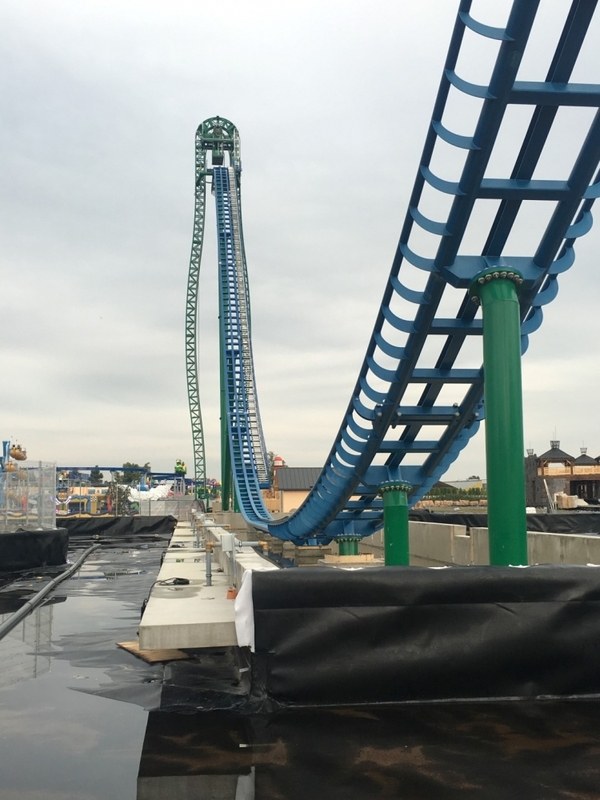 It's not as good as you may think being "the tallest watercoaster in the world".... the drop is disappointing the hill after gives almost zero airtime.... best part of the ride is the final helix followed by the second smaller hills and the splash!! at least you get wet but not for the excitement!!! 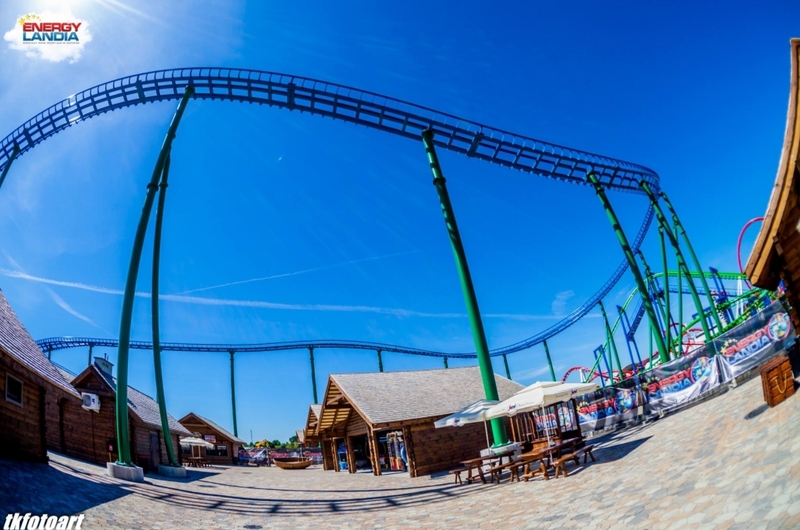 IMHO as long as tracks look fun, they'll easily pass as enjoyable coasters! Okey-dokey! Welcome to the funnily designed portal! Then make a decent drop! 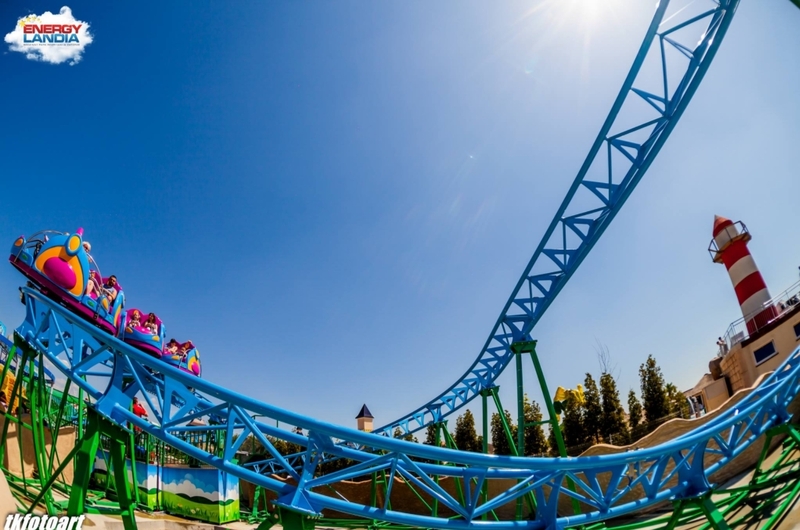 I just noticed that the normal track has an extra rail for the side friction and upstop wheels but the first drop hasn't... How does that work? Perhaps they're additional upstop/side wheels for where there's more force imparted due to the layout? Those trains must be pretty heavy afterall. It looks a bit weird, but I guess they have their reasons for doing it this way. 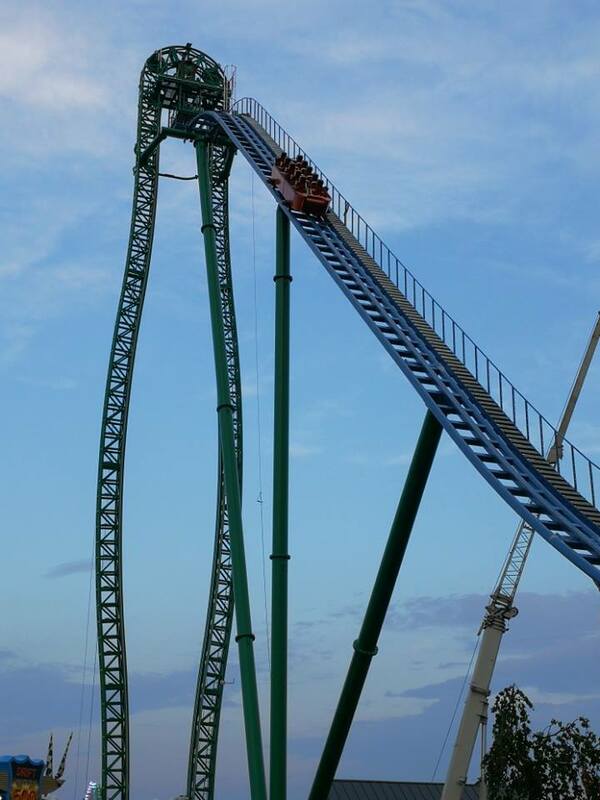 I don't know, I think Intamin could have easily designed a better drop. 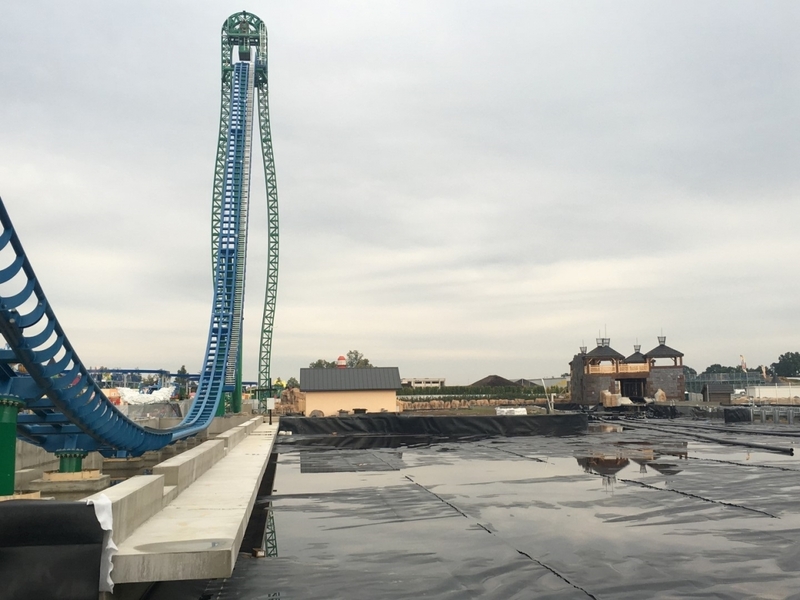 So the Intamin spillwater is now complete. 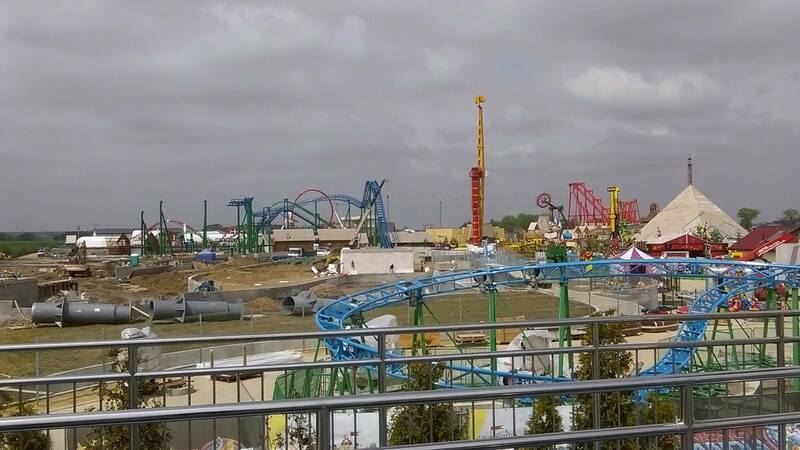 Theming continues on the junior boomerang and the construction of the water coaster and rapids are coming along nicely. 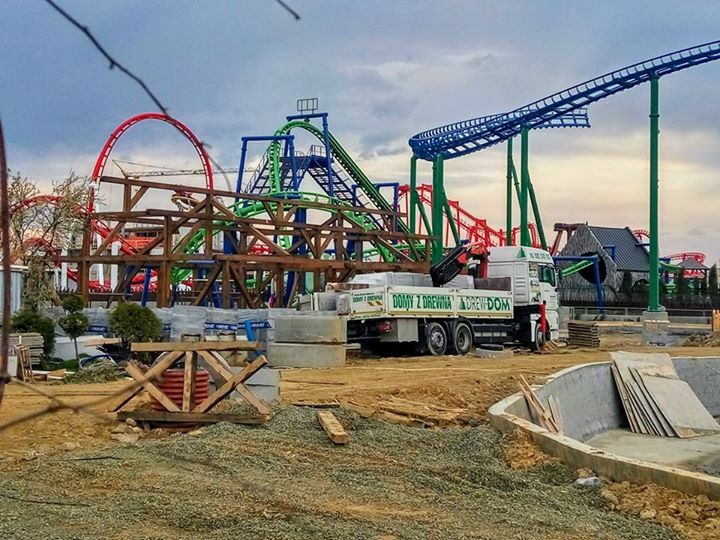 This park is adding a lot of things very quickly. 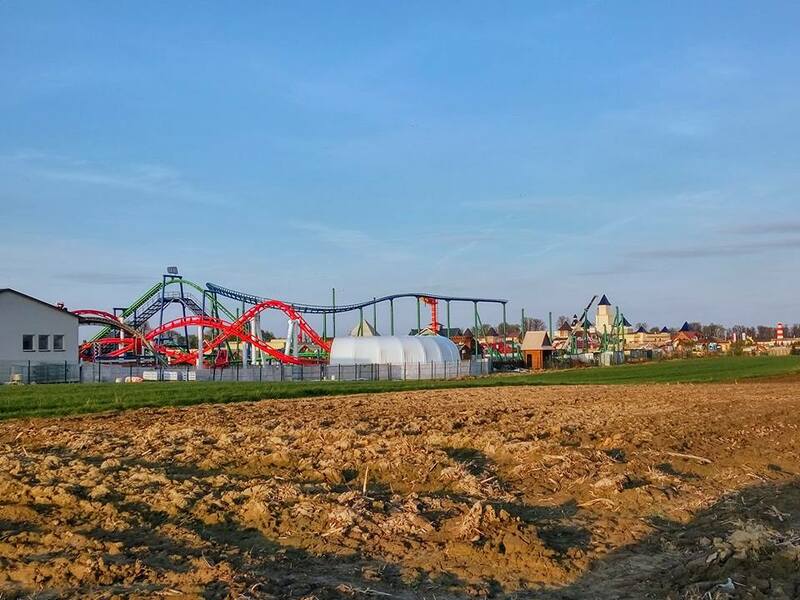 Is this a relatively new park or just the right time for mass expansion? This park is very new and has barely even existed for 5 years yet. 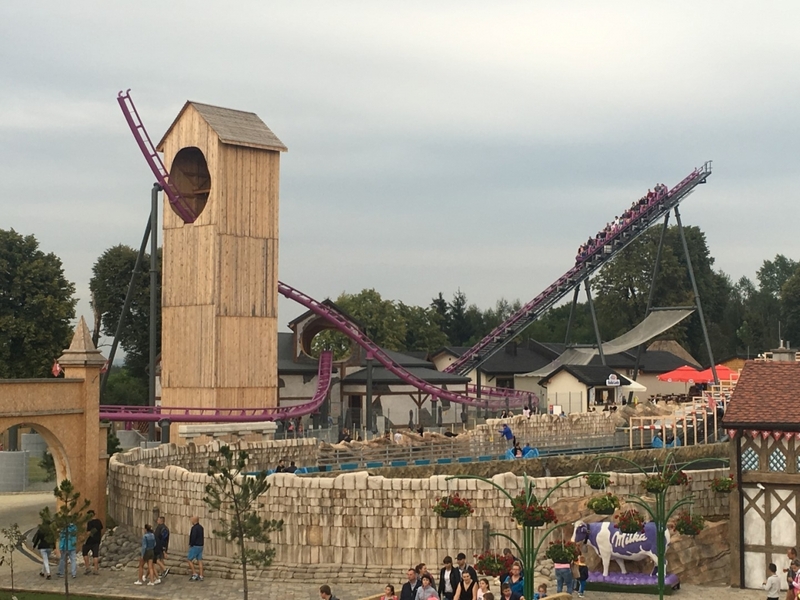 I can say that water coaster tower is now growing on me! Colors REALLY go together! 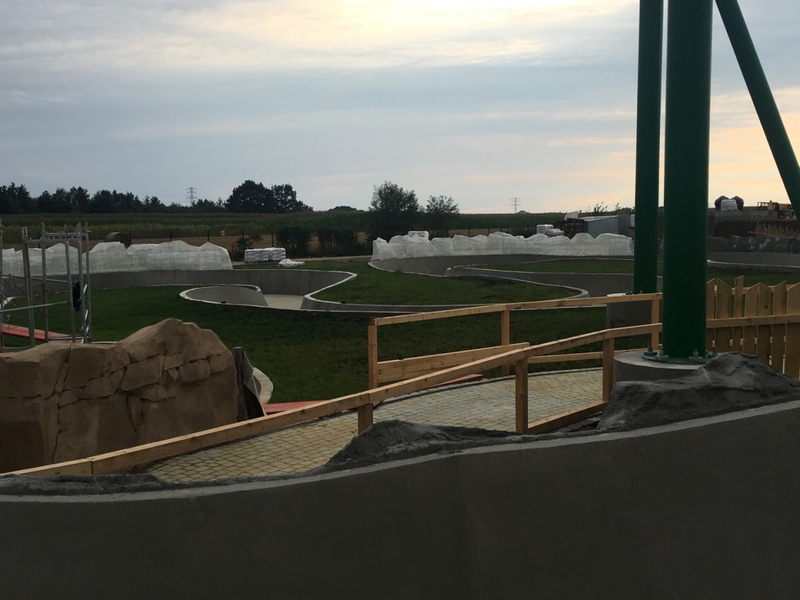 So based on the park map the Spillwater will receive some theming for next year. 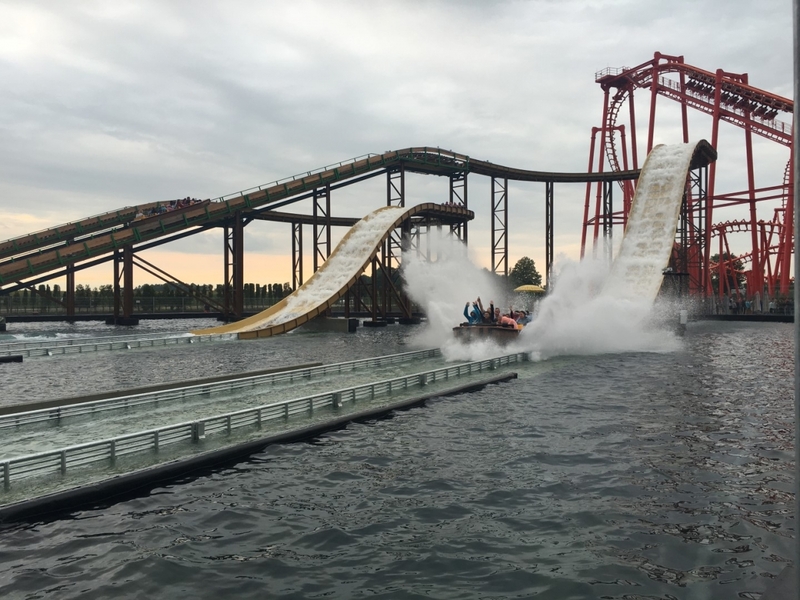 The watercoaster is still not open and is undergoing tests.